In Texas, we love our symbols. The famous “Lone Star” is a symbol that is easily recognizable by just about anyone, young and old. 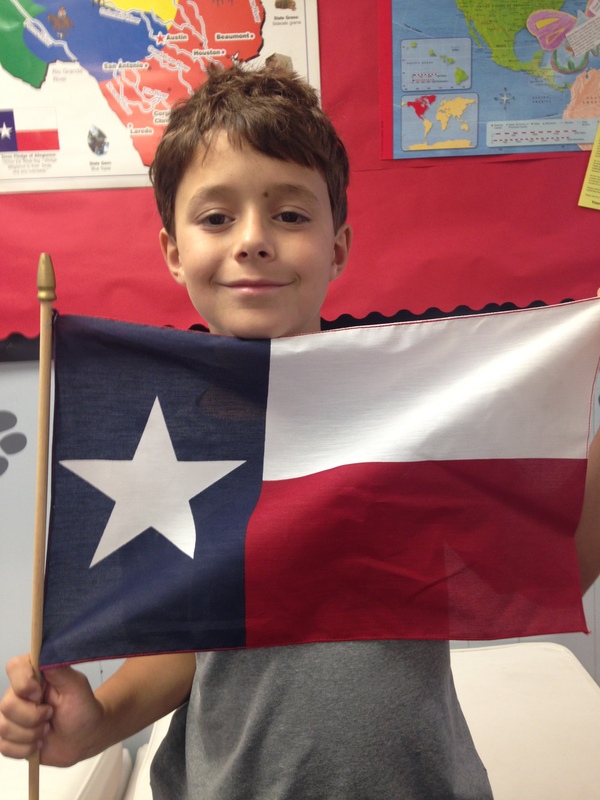 In our state social studies standards in fourth grade, we dig a little deeper into the symbolism and start to really understand our history and what those symbols we see and know so well really mean to us as Texans. I am sure every teacher in elementary schools across the United States do the same thing. We try and bring history alive for our students and help them appreciate the sacrifices that so many have made in the past for us today. Six flags have flown over Texas: Spain, France, Mexico, The Republic of Texas, The United States of America, and The Confederate States of America. The lone star on the flag was created after the hard-fought independence from Mexico. It represents pride and independence. I think those traits apply to any state, and certainly the people of Alaska. I spent some time with my class this week investigating the wonderful history of symbolism of each state and comparing it to our own. I can’t find a larger and more interesting contrast than comparing the great state of Alaska to that of the Lone Star State. I use the straightforward and simple website State Symbols USA as an easy and fascinating guide into learning and understanding various state symbols. The site is easy to navigate, and my students were fascinated by the unique features and symbols that each state holds dear. Did you know that the official snack of Texas is chips and salsa? Did you know the official Texas flying mammal is the bat? Did you know that the official Alaska state sport is dog mushing? My students giggled and yelled out, “Of course it is!” What I appreciate about the site is the interesting information students can read and research when they simply click on the state name or symbol title. This is fantastic for state research reports and a great way to learn about basic, but sometimes quirky, official symbols and icons of your state. The bat, of course, is the only flying mammal in the world! The website also has a place for students to submit stories and information about their particular state. I really enjoyed meeting my state standards in such a fun, innovative, and easy format. My students learned some interesting facts about Alaska during their tour of the website, and it was simple to navigate and fun to use. We took some time on the website to look at all of the state flags in our nation. They are as varied and unique as the states themselves, but my students could not quite understand the meaning and importance of the flag of Alaska. Why was it blue? What do the stars represent? 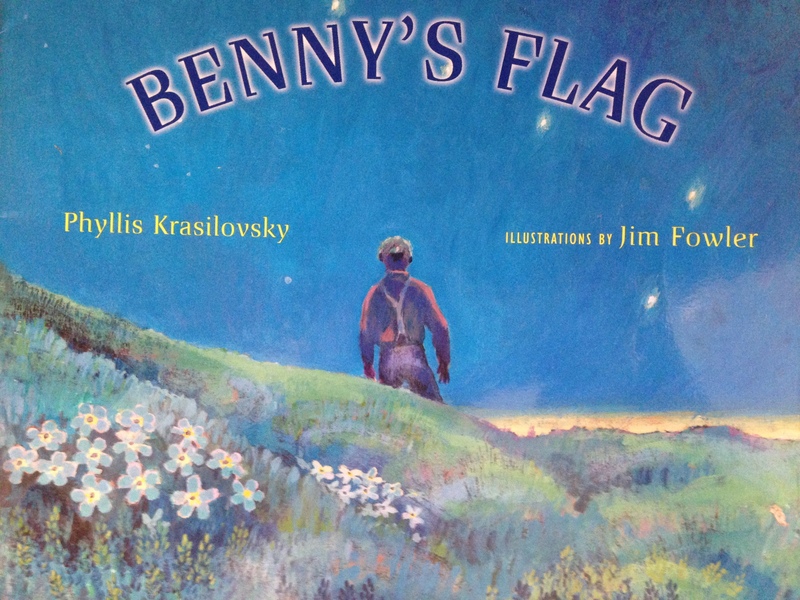 So, one morning, I pulled them to my carpet for Reader’s Workshop, and I read the lovely picture book Benny’s Flag, written by Phyllis Krasilovsky and illustrated by Jim Fowler. As I read the story, my students were captivated by the haunting illustrations that brought the simple text to life. The author did a very thoughtful job of sharing the positive attitude and outlook of Benny Benson to the reader. Benny was a young Aleut boy with a tragic past. He was born in the remote Alaskan fishing village of Chignik, and due to heartbreaking circumstances, was raised in an orphanage during most of his childhood. It was his positive outlook and spirit that really inspired my students. Benny Benson holding the Alaska flag at the Jesse Lee Home, Seward, Alaska. ASL-P01-1921, Alaska State Library-Historical Collections. Photo courtesy MS14-1-1 Alaska State Library. Before 1927, Alaska did not have a flag of its own. Since 1867, when the United States purchased Alaska from Russia, Alaska had only flown the United States flag. In 1926, territorial Governor George Parks decided to create a contest for children to design a special flag for the territory. This flag would one day become the state flag and be a symbol for so many. Benny dreamed of one day becoming a humble, Alaska fisherman, and his dreams helped inspire his design for the flag of Alaska we know today. 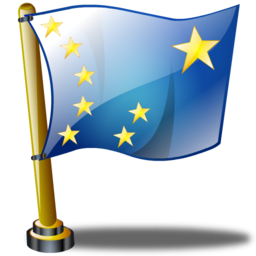 In May of 1927, Benny’s flag captivated the judging panel and was adopted as the official territorial flag. What an honor and an uplifting experience for such a young person. My students were captivated by this! I must admit, I was tearful and deeply moved finishing the book, something my students become used to year to year! Benny’s Flag left us wanting to know more. So, I turned to the Alaska Historical Society which had a great deal of information and some photographs of Benny from this time period. I reached out to the library in Juneau, and they graciously agreed to allow me to share these special photographs from the collection in this post. Referring back to our time spent investigating the state symbols on the State Symbols USA site, it all made sense to my students now! We talked about what an amazing opportunity it must have been to be a child and design a flag that would be admired by so many. “Let’s design our own flags!” Lucas said. We all agreed to jump into our fun project, and I asked my class if we should try and create our own version of the Alaska state flag. “No! That would be disrespectful to Benny!” So, a change of plans were in order! We decided to create our own flags. In math class this week we spent some time reviewing fractions and decimals, so we decided to create mathematical flags using 100’s grid charts. These would not be an Alaska flag (Benny would not approve), but a fanciful flag created for an unknown state or country from our imaginations. First, we did some research about flags by studying international maritime flags and their meanings. Nautical flags are geometric in nature and perfect for a mathematical design. 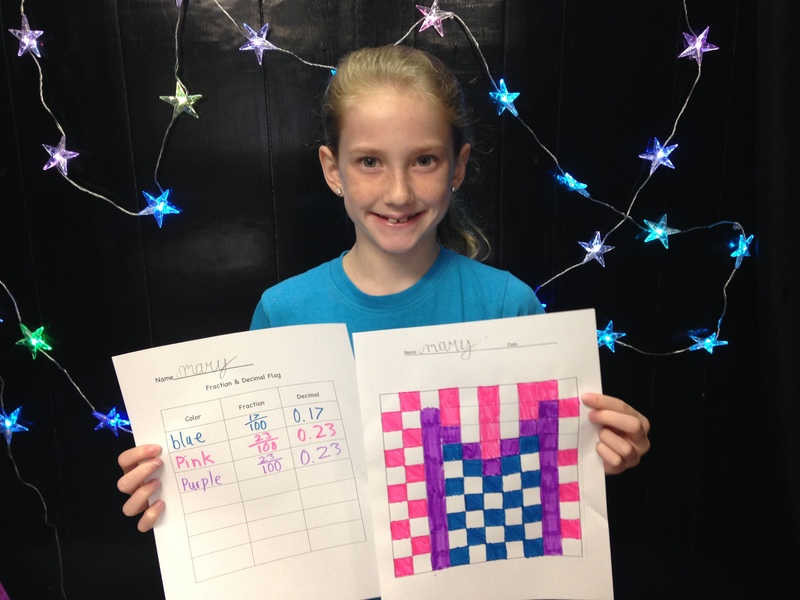 We referred back to our study of the state flags online, but for this math activity, we had to create a geometric square flag and then convert the colors into fractions and decimals. 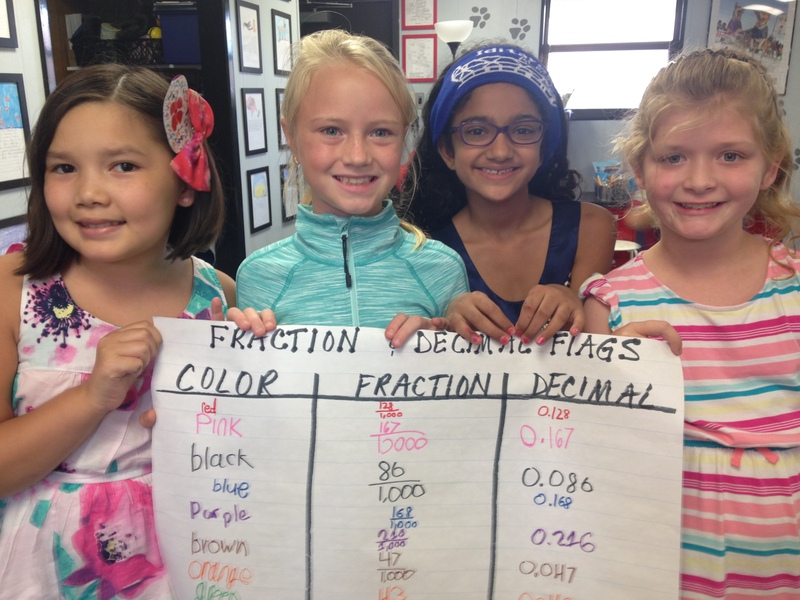 The Fraction Flag online game allowed us, whole group, to review fractions and helped inspire our color choices and design for our independent work. When we finished our designs, the students filled in a fraction/decimal sheet taking their numbers to the hundredths place for decimals. Since we are learning about decimals to the thousandths place, we decided to create a special class flag from a 1,000’s grid. 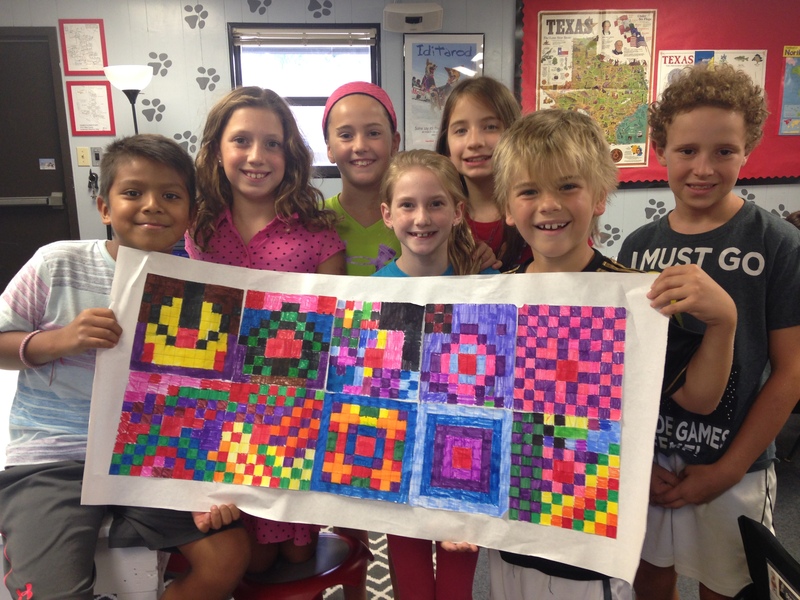 We did the math, and I needed 10 of the 100’s grid charts to make 1,000 little squares. I cut and taped together 10 charts, and we were ready to create! When we finished, we created a chart for our fractions and decimals, and helped each other count the 1,000 colored squares on our flag! Our 1,000’s grid flag data! Very few state flags have the story behind them that Alaska’s flag does. In 1927, The Alaska Department of the American Legion decided to sponsor a contest for students to design a flag to represent Alaska. Each town set up a panel of judges to judge the designs at a local level and then choose the best ten to be sent to Juneau for the final judging. Some of the designs sent to Juneau featured polar bears, some featured fishing and mining, and many featured the territorial seal. 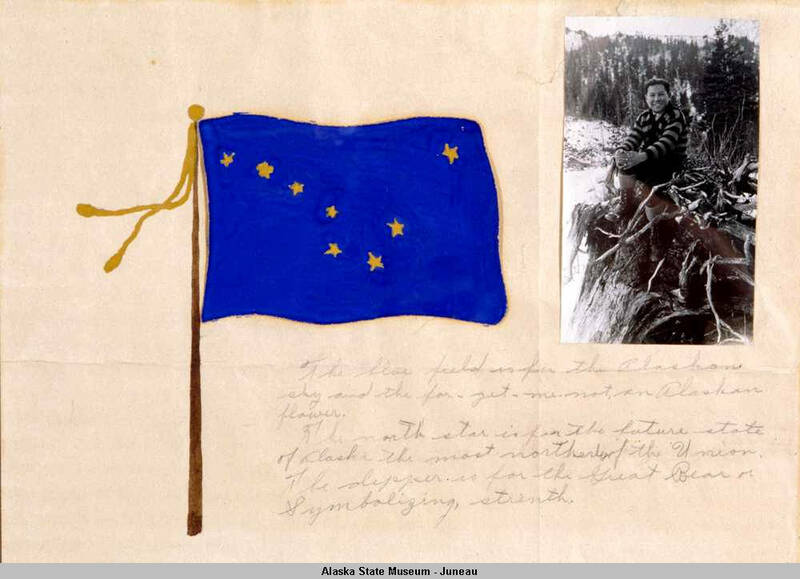 But the winning design that became the flag we know today was designed by a thirteen year old Aleut student named Benny Benson who was living in an orphanage in Seward at the time. In addition to having his design made into the official flag, he won a gold watch and a $1,000 towards a trip to Washington, DC. In this lesson, the students will discover the story off Benny, his flag, and the meaning behind it and then will create their own flag to represent their classroom.